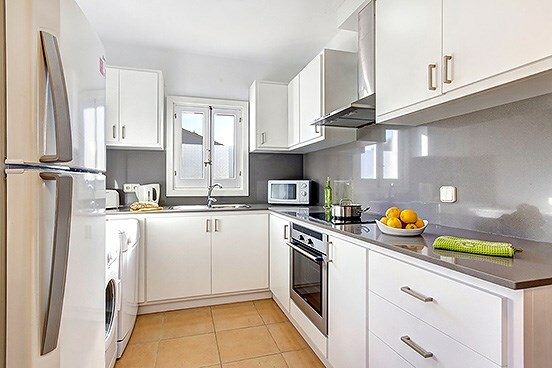 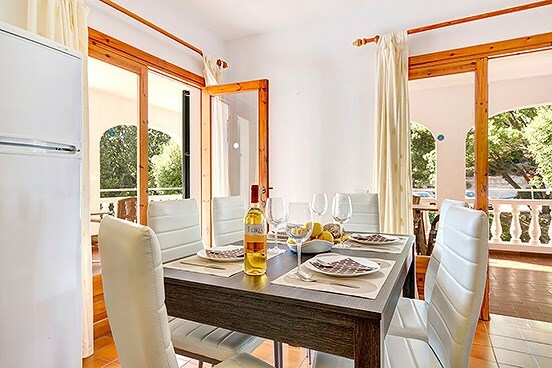 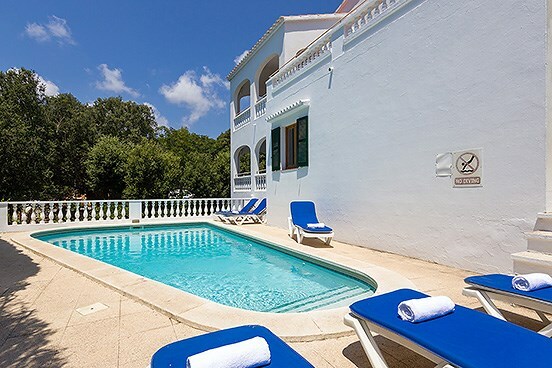 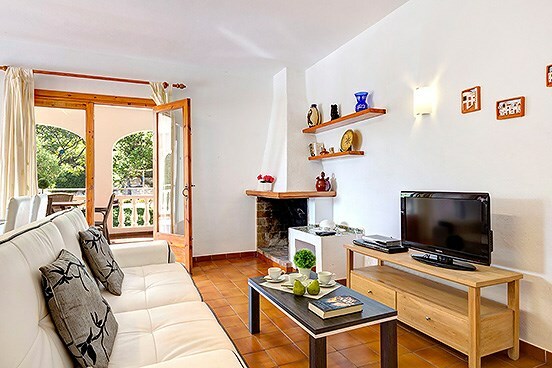 This rather impressive and large detached villa is conveniently located in a residential area within easy walking distance of the beach, shops and restaurants of Cala Galdana, one of the most sought after resorts on Menorca. 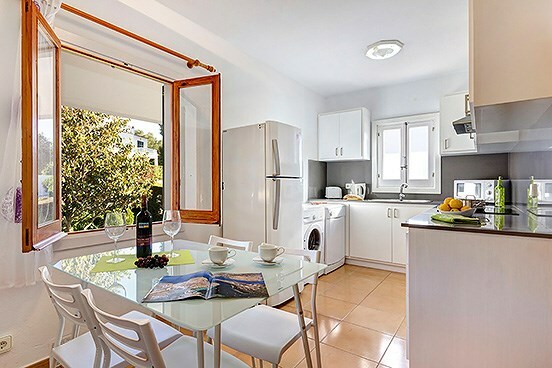 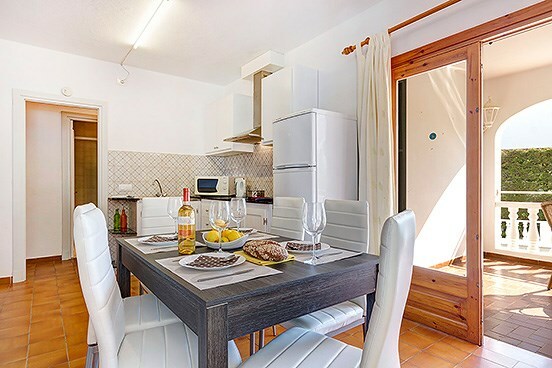 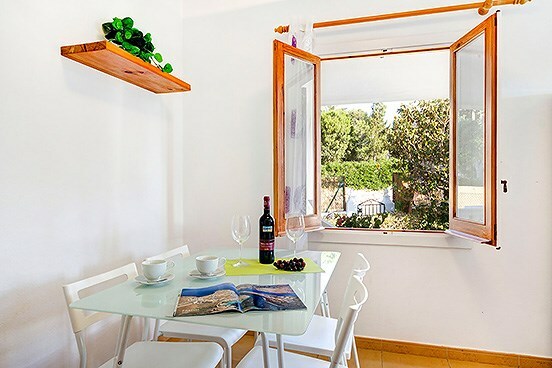 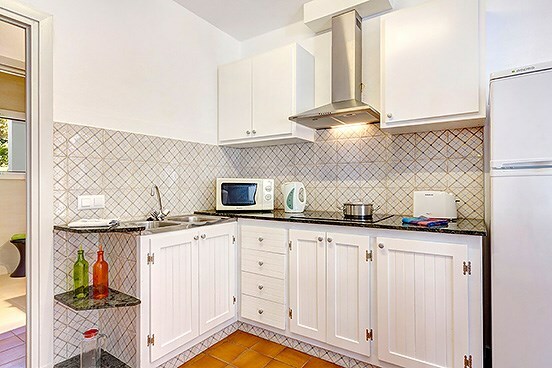 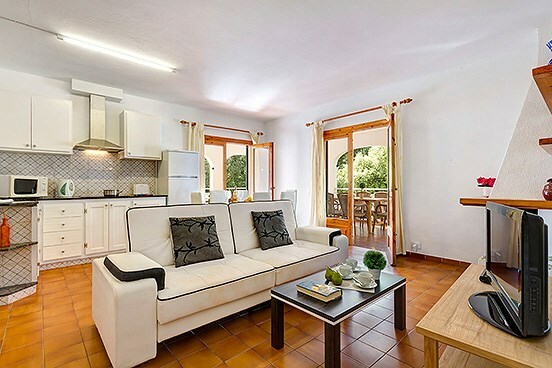 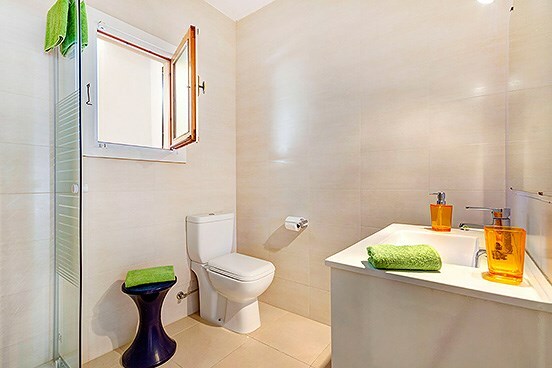 Villa Truvi is somewhat unique in that it caters perfectly for either a large group of friends traveling together, or even two large families as the living accommodation is conveniently divided in two sections. 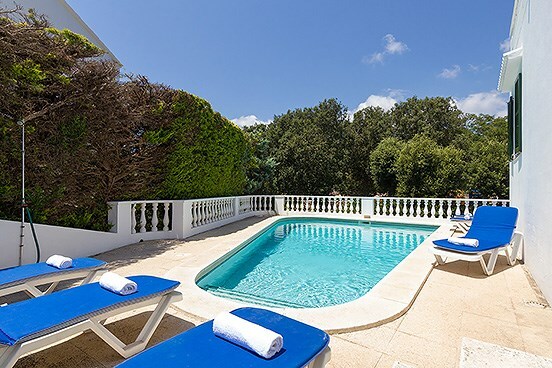 Accessed by a sweeping external staircase, the upstairs consists of three bedrooms, living room and kitchen, as does the downstairs, where instead of the spacious balconies etc, you have direct access out onto the beautifully manicured gardens and large private swimming pool. 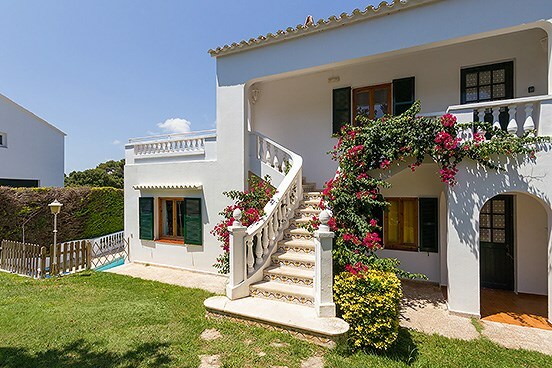 With such an abundance of space, as well as an idyllic private garden to unwind in, it is unlikely that you would want to wander far, but doing so is effortlessly easy with the beach, shops, cafés and restaurants all within a short 10 minute stroll away. 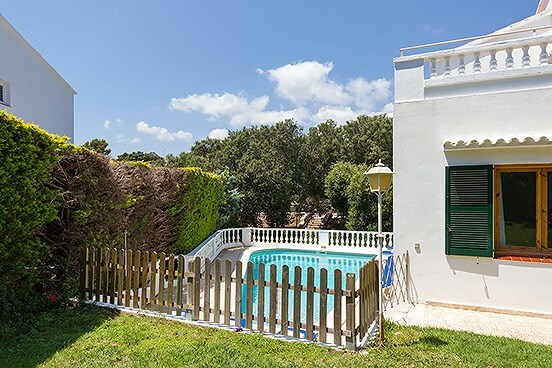 This rather impressive and large detached villa is conveniently located in a residential area within easy walking distance of the beach, shops and restaurants of Cala Galdana, one of the most sought after resorts on Menorca.